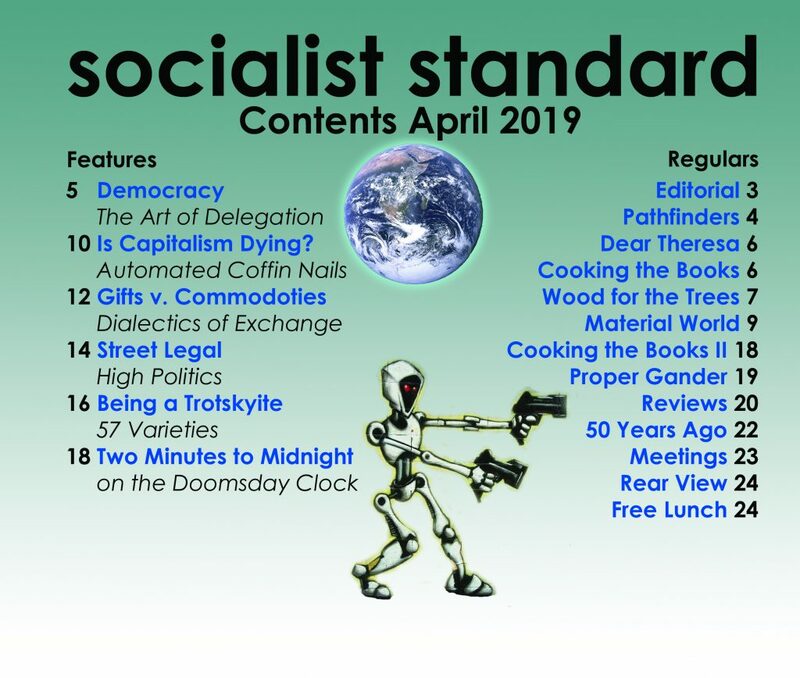 When Russell Brand was invited to guest edit the New Statesman at the end of October, he took the opportunity to write a long feature article on a subject which he deemed important enough to devote his whole piece to. He did not choose to write about his work as a comedian or actor, or his current worldwide live tour which had already almost sold out. He did not write about his sexual reputation as a ladies’ man, or about which toothpaste he uses. He wrote with passion about how the world is organised and how all main stream politics serves the same global economic elite. He made a great number of insightful, thought-provoking observations. A few days later he further elaborated on several of these points when interviewed by Jeremy Paxman on BBC TV’s Newsnight. He certainly succeeded in stimulating debate, and since then there has been a frequently heated exchange of views, both with and about Brand himself, but also further afield, with the You Tube video of that interview having had millions of hits even by early November. What Did Brand Actually Write? He says those who ‘fought in two world wars’ to protect the right to vote ‘were conned’, adding that ‘total revolution of consciousness and our entire social, political and economic system is what interests me, but that’s not on the ballot.’ But rather than the focus on voting, his main and far more important theme was the fundamental inability of our present social system to meet the needs of the majority of people. His written piece claimed, first, that the majority of (‘non-rich’) people have become disaffected from the whole political process and lost all interest in politics, as the main parties and politicians are virtually indistinguishable from one another. They are all dishonest and self-serving and all stand to represent and run a system in which human needs always take second place to the further accumulation of financial surpluses by a tiny minority who already have huge wealth and power. The apathy of the oppressed majority is an understandable reflection of the apathy of the social order about meeting our needs. But for society’s problems to be solved, this apathy must first be challenged and replaced with a passion for real change. All these points were argued in detail and eloquently by Brand in his article. At this point Brand departs momentarily from this rational extrapolation of the social, political and economic roots of human suffering, to argue that the solution is ‘part spiritual and part political’. He defines spiritual as ‘the acknowledgement that our connection to one another and the planet must be prioritised’. He then states very clearly his goal, paraphrasing Buckminster Fuller: ‘to make the world work for 100 per cent of humanity…through spontaneous co-operation without ecological offence or the disadvantage of anyone’. Brand does not mention it, but in fact there is one precondition for this rational and democratic use of the world’s resources to serve the needs of all. The ‘one percent’ who monopolise all the natural resources and productive machinery of society have to be legitimately dispossessed, so that the world and all that is in it can become at last the common heritage of all. Without doing that, we do not even have access to the resources we seek to co-operatively manage. And for this we do indeed have to organise political and democratic action, including voting, which will be a lot more exciting and far-reaching than the mere choice between Tweedledum and Tweedledee just twice each decade. Those of us who complain about there being a small class of billionaires and multi-millionaires for whom, directly or indirectly, the rest of us work as waged or salaried servants of capital, do not do so out of some hate-filled jealousy. Like Brand, we recognise that this is a global system which has outlived its usefulness. That the problem is systemic and not merely a question of attitude or of clearing away just the worst excesses of greed. In the words of William Morris, ‘there are rich and there are poor, and the rich are rich because they rob the poor’. 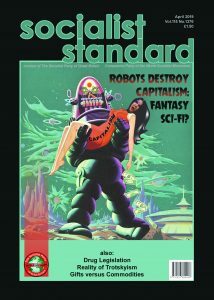 Yes we do begrudge the fact that shareholders (or bureaucrats, in the misnamed ‘socialist’ countries which run state capitalism) own and control the productive resources of the world, because that is what stops the other 99 percent of us from accessing those resources and turning them over to production for need rather than profit. There is a profusion of research reports from the World Health Organisation and others, showing that without the artificial limits placed on production by the billionaires’ need to be sure of a market before production is permitted, then the actual global resources would be sufficient to feed, clothe and house several times the current world population. Brand condemns the ways in which scapegoats are constructed and people turned against each other, so that ‘the wrath is directed to the symptom, not the problem’. He describes revolution as not violent rioting or misdirected fury, but a dignified and complete withdrawal of consent, a mass refusal to accept the current social relationships of production and ownership, which are inherently exploitative. Whilst not denying that human behaviour has elements of greed or insecurity as well as co-operation and common interest, he asks why should we continue to base our entire social fabric on the worst traits rather than the best aspirations of humanity? At this point his prescription for change does become slightly vague and somewhat romantic, advocating that we meditate, love indiscriminately, reserve our condemnation exclusively for those with power, and revolt spontaneously in whatever way we want; though he is careful to specify ‘without harming anyone’. He calls for a revival of the old values of the working class movement typified by the Tolpuddle martyrs, so that today’s young people might realise that there is ‘a culture, a strong, broad, union, that they can belong to, that is potent, virile and alive’. He makes a final call for a ‘revolution of consciousness’ and makes the optimistic observation that we are far from impotent, as proved by the huge twin efforts of propaganda and repression which have to be used to contain dissent around the world, the ‘institutions that have to be fastidiously kept in place to maintain this duplicitous order’. He explained that he does not set himself up as a political or technological expert, and that he defers to others who are more equipped than he is to fill in the gaps as to how we can best use our planetary resources to feed, clothe and house our several billion members of this human community. What he needed to point out, however, is that the current global system of minority ownership and control of resources cannot ever do that. But he did make the excellent point to Paxman that it is those who do defend the present social order who must be called on to answer for it. ‘The burden of proof is on the people with power.’ The system we have is indeed indefensible. The debate then is not whether to have a complete change of social system, but how best to quickly enact this urgent and obvious need, before capitalism causes even more carnage both socially and climatically. He goes on to say that there would have to be a democratic central administration rather than a government. When pressed further, he urges Paxman not to ask him to ‘sit here and devise a global utopian system…I am calling for change’. And he was absolutely right to say this. No great social change has ever come from constructing an ideal ‘doll’s house’ society, with a rule-book full of minutiae, and imposing it on the future. We need urgently and democratically to replace minority ownership with common ownership, and production for profit with production for needs. This will not involve the ‘redistribution of wealth’, however, as that implies there would still be owners and non-owners. The only alternative to capitalism is to have common ownership of all productive resources, across the world community. All of those billionaire shareholders, plus the stony-faced bureaucrats of the state-capitalist regimes, have to be legitimately dispossessed by a conscious, determined, educated, peaceful majority. Then and only then can we start to produce for need, not profit. And this also has nothing to do with ‘heavy taxation’, as taxation is a levy on profits and therefore is a mechanism only relevant to capitalism itself. Brand then explains what it would take for him to want to vote, telling Paxman that people are bored with politics because what’s on offer is not a radical enough change, hence the frequent eruption of rioting and civil unrest. But ‘when there is a genuine alternative…then, vote for that…but until then, why be complicit in this ridiculous illusion?’. He praises the Occupy movement for at least introducing into the popular lexicon the idea of the one percent versus the ninety-nine per cent, and making large numbers of people aware of vast economic corporate exploitation. He also turns the argument around on to Paxman, pointing out that he of all people must see through the charade of politics, since he has spent thirty years in interviews berating politicians of all parties for their lies and their failed promises. How was all this received? White went on to accuse Brand of ‘proto-fascism’ and of wanting to have a revolution ‘in which probably he can do a lot of screwing around, because that seems to be one of his more important priorities. Pass the sick bag’. White has revealed more about himself than anything else in this misinformed and vindictive response. Reporter Shiv Malik on the same podcast, again with breathtaking disregard for the most fundamental journalistic principle of reporting what people say rather than what you would like them to have said, asserted that ‘[in his article] Brand dropped in ‘non-violent’; but really I think he meant ‘violent’, and just go out and riot’! Other reactions also came thick and fast. Simon Kellner acknowledged in the Independent on 24 October that ‘Russell Brand is far from trivial. On Newsnight, he made Paxman look ridiculous. This was the old guard against the new, and the new came out on top.’ Paxman himself had the decency and intellectual honesty a few days later to concede that Brand had been right about ‘the whole green-bench pantomime in Westminster’. Writing in the Radio Times he agreed that people are disgusted by the ‘tawdry pretences’ of politics, and even admitted that he had himself not voted in a recent election, as the choice of candidates was ‘so unappetizing’. Nick Clegg responded to this on LBC Radio, setting himself up as a sitting duck by whining illogically that Paxman was ‘sneering about politics’ despite making a good living from Westminster, and that he treated all politicians as ‘rogues and charlatans’. With Clegg’s party holding the dubious honour of being amongst the biggest liars in recent political history (student fee rises ring a bell, Nick? ), one has to ask, what else should Paxman treat them as. Most of the criticisms blatantly ignored all of Brand’s points about present day society and what is wrong with it, and focussed purely on the supposed ‘crime’ of refusing to vote in elections. But in this respect, he is hardly alone. In recent UK elections, well over a third of voters could not find the motivation to go and choose between the options on offer. And what of the sham elections conducted by dictatorial regimes elsewhere, do these critics condemn those brave enough to abstain? The voting process is important, and socialists have long had a policy of writing ‘world socialism’ across their ballot paper in the absence of any genuine socialist candidate. Again, this is something which Brand has also mentioned. In a follow-up piece for the Guardian (5 November) he mentions his friend’s 15-year-old son who, he says, prefers the idea of spoiling ballots rather than not voting, ‘to show we care’, and Brand adds, ‘maybe he’s right, I don’t know’. He does go on to propose that the billions being used to bail out banks, or the unpaid tax of tycoons like Sir Philip Green, should be used to ‘create one million jobs at fifty grand a year’. However, this would not be a lasting solution since it would leave intact the same root cause which has led to all of this in the first place: the existence of capitalism. We must go further and end the institution of working for wages or salaries itself as it is this, the wages/profits system, which is causing all of the social contradictions from which we suffer. Let us all take up Russell Brand’s proposition. The need to get rid of capitalism is urgent. We do need to think outside of the constraints of the profit system. The solution is very clear. Common ownership of all productive resources. Democratic control of society. Production for need, not profit. This needs to happen now, and the only remaining missing ingredient is a conscious and well-informed majority determined to take democratic action to make it happen. Brand acknowledges movements like Occupy for putting on the public agenda the idea of the power of the one per cent which prevents the freedom of the ninety-nine per cent. We owe Russell Brand some thanks now for helping to put the idea of revolution back into public discussion too, at a time when a complete change of social system is more urgent than ever.